Welcome to your recently renovated, stylish contemporary home! Located in sought after south Tampa, this split bedroom floor plan features 4 bedrooms and 2 bathrooms on an oversized lot. The master bedroom is very spacious with walk in closet, vanity area and updated bath with large tiled shower. Entertaining is a breeze in the expansive family room and recently updated kitchen with granite counters, stainless appliances and new modern back-splash. The front yard is enhanced with lush, tropical landscape and over-sized fully fenced backyard is ideal for hosting barbecues, large parties, or just relaxing by the fire pit. 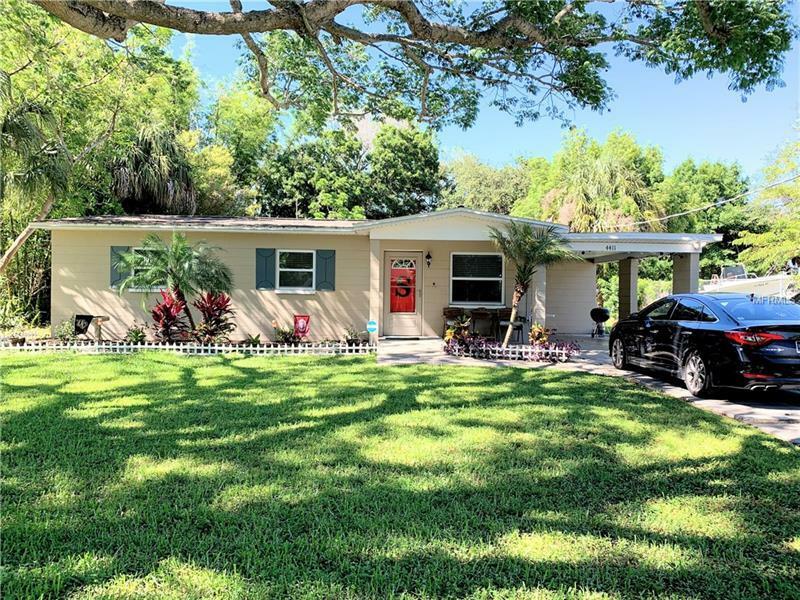 This home has been well maintained and is completely move in ready with a newer roof and water heater (2014), updated windows and new water resistant laminate flooring. Conveniently located in highly desirable south Tampa minutes from MacDill AFB (2.5 miles), downtown Tampa (6 miles) and just a few blocks east of the new Westshore Marina.